A curious thing happened when I logged into Facebook last week. There was a new option – a Facebook cover video. The Facebook cover video is an additional option. Rather than a static image, you have 20 to 90 seconds to capture visitors’ attention. With this new feature being rolled out, here are three things you need to keep in mind. Why choose a Facebook cover video instead of a cover photo? Well, video provides an audio-visual experience that makes a lasting impression. Consider Doctor Albert Mehrabian. Mehrabian’s research revealed a mere seven percent of a message received comes from the words chosen. The way those words are expressed accounts for 38 percent of the message. The rest of the message? That’s body language, which accounts for 55 percent. Plus, people remember more of a message they watch than a message they read. 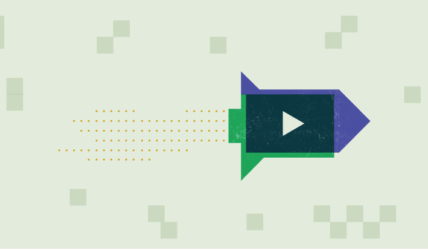 Because visitors are more likely to retain information presented in an expressive way, a Facebook cover video is a rare gem that captures all the best aspects of communication. The cover video doesn’t stop playing. There is no pause option. In fact, if a visitor clicks on your banner, it will open up the full video with sound. As you choose a video, make sure it shows off your company’s personality. Remember, not every video you make needs to sell a product, but every video you produce needs to showcase your brand. Make sure the video looping makes sense. Also keep in mind some visitors won’t enable sound right away. Use text overlays to help relay stories for those visitors who might not have the sound on. This is especially important if there is a storytelling element behind your video. Why did we get cover videos? It’s most likely due to Mark Zuckerberg’s vision for Facebook to become video-first. As the platform continues to push video content, we will begin to see more opportunities to engage with clients and customers through this medium. It is important to keep video at the forefront of a marketing strategy, particularly when more and more consumer expect video as part of their buying journey. Choosing a Facebook cover video instead of a cover photo is an important first step. As Facebook continues to progress towards a video-first vision, your cover video needs to stand out with or without sound. Make sure the content you select plays well as it is looped. Drop us a line if you have any questions about what your Facebook video cover should look like.